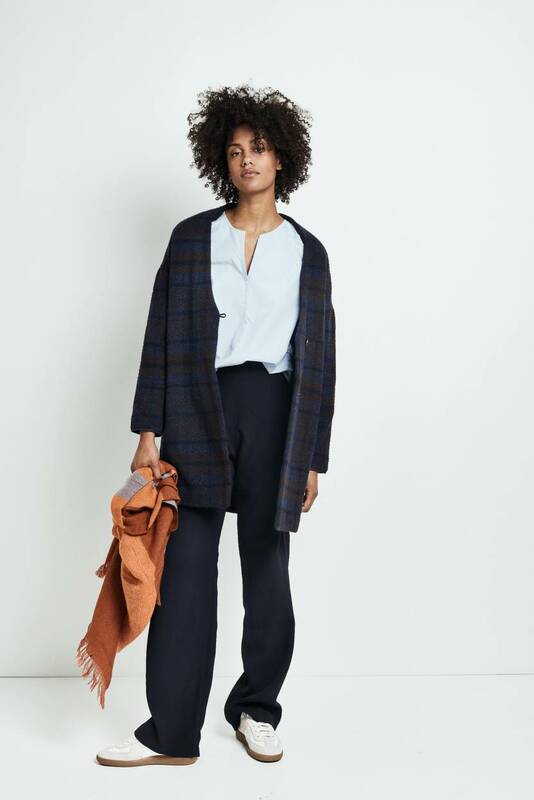 If you're looking for a cardigan that doubles as a light jacket in autumn, look no further than the COLIS. This cosy wool cardigan is lined with cotton and made from an Italian fabric. The COLIS has a press-stud closure, a single button, and a two slit pockets. The wool has been slightly distressed and features a subtle checked pattern. Model wears size S. Model's height is 1.74 m. The jacket is 87 cm long.